A seasoned musician, whose journey spans some 40 years. Classical, folk, world, and spiritual traditions have all played significant influences in Helen's vocal exploration and composition. 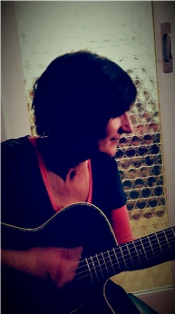 Helen would describe herself as a 'lounge' performer - being most at home in front of a small audience with whom she can share the stories of her music. At this time, Helen's performances sit comfortably in the field of folk. The opening performance features originals and Joni Mitchell interpretations with a theme of water.